The DSG flipper benefits from Stedemon Knives' recognizable design cues and first-class build quality. On top of that, the DSG knife is available at a pleasant price point for all of us without deep pockets. 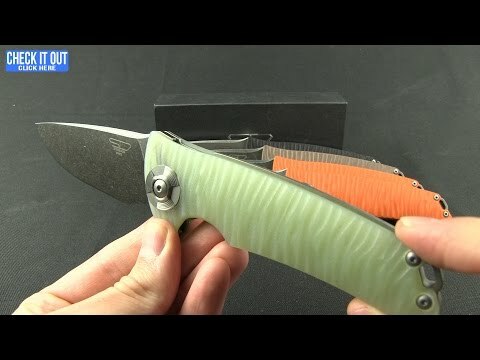 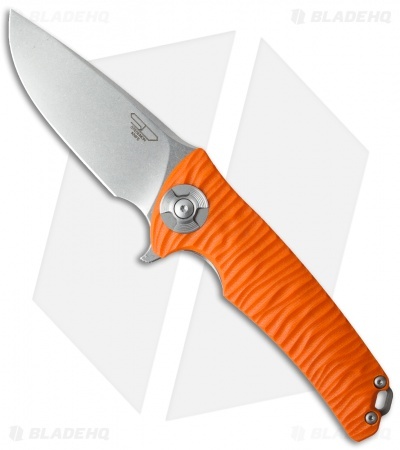 This model has a stonewash finished VG-10 steel blade with a full flat grind. 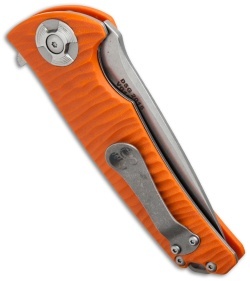 Press the flipper for quick, smooth action — courtesy of the ball-bearing pivot. 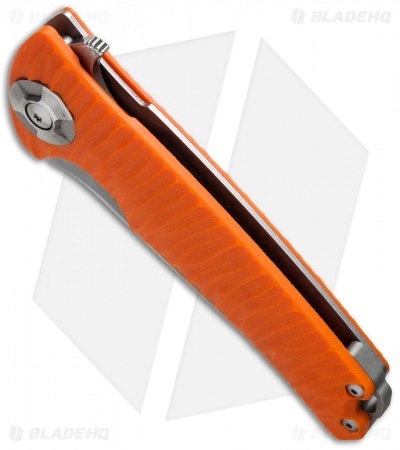 The sculpted orange G-10 handle has a stainless steel liner lock tab, oversized pivot collar, elongated lanyard hole backspacer, and sturdy titanium pocket clip.